The Saskatchewan Media Usage reports include two separate studies, Saskatchewan Social Media Report and the Saskatchewan Media Democracy Report. Together they provide a comprehensive and representative measurement of media habits across difference devices and media types. The Saskatchewan Social Media Report 2018 is now available! National data do not paint an accurate picture of Saskatchewan behaviour and usage. 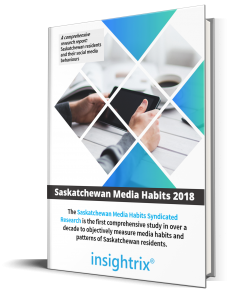 The Saskatchewan Media Usage study continues to be the most comprehensive, trended research study to specifically measure media habits and patterns of Saskatchewan residents. Skip the national stats and get the Saskatchewan-specific data and insight that is benefiting more than 200+ businesses already. 200+ businesses have benefited from the report and are tailoring their messaging with data that speaks directly to their customers.  Take advantage of this regionally specific, actionable data and learn about those who are actually listening, actively searching and routinely engaging with your brand. What do Saskatchewan residents look for in the online shopping experience? How does this experience impact their overall impressions of the retailer? How concerned are residents about privacy and security when providing personal information? Are residents willing to provide personal information in order to receive advertisements relevant to them? What type of advertisements do residents trust? How does this differ by source – earned, paid, owned? These are just some the questions answered in the 2018 Saskatchewan Media Democracy Report. Why do businesses need these reports? This report will provide marketers with the necessary insights into what steps they must take to enhance their customers’ online shopping experience, and to increase customer loyalty as well as the lifetime value of their customers. Why do Saskatchewan marketers need these reports? They provide an accurate and representative snapshot of media usage among Saskatchewan residents. They examine the usage of traditional versus new media, including social media. They look at generational usage of media including Trailing Millennials (14-25), Leading Millennials (26-31), Generation X (32-48), Baby Boomers (49-67) and Matures (68+). It serves as an indispensable tool for digital marketing intelligence in the Saskatchewan marketplace.